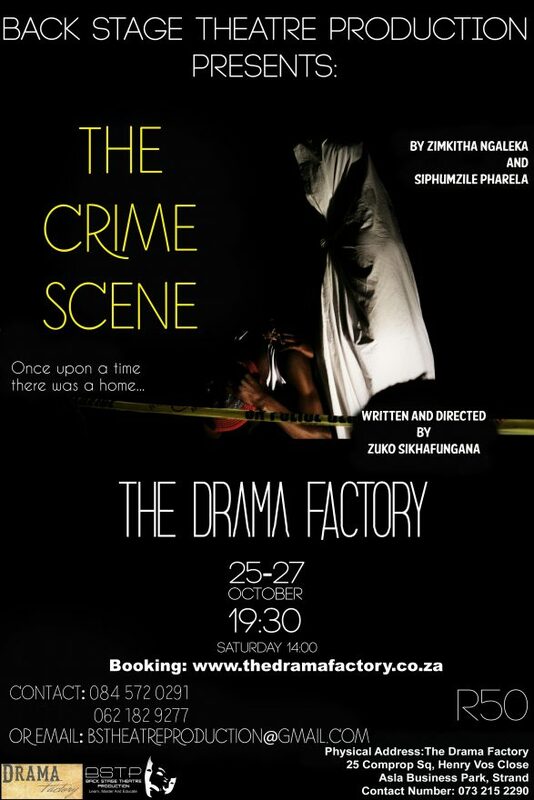 It is with great enthusiasm that the department announces the last creation of the Back Stage Theatre Production, The CrimeScene, written and directed by our talented postgraduate student Zuko Wonderful Sikhafungana. Breaking the silence and creating dialogue through storytelling. This piece is about a psychological cycle of absent fathers which results in hatred, and a furious society, producing violent-angry young minds. Mothers face the consequences in isolation. One man relives the tale, the life of a dismantled family.